Live Music for Fundraisers in Florida! It’s a new year and we’re thrilled to be back on the road across the Sunshine state. Kicking off in Winter Haven, after our winter break. We’ll be hitting the stage for an awesome fundraiser benefitting the Kids2Kids foundation through which High School kids in Central Florida raise money for other children in need. A great charity which we are proud to support. Following hot on the heels of this event, we’ll be celebrating with the wonderful ladies of the Promise Fund of Florida who are tireless in their work for women in the community suffering from breast cancer. We also performed for this charity last year in Colorado so it is a real honor to be invited back to perform for them here in Palm Beach County. Moving on to later in the month, we’ll be rocking two corporate events, the first in Clearwater and later in Deerfield Beach. 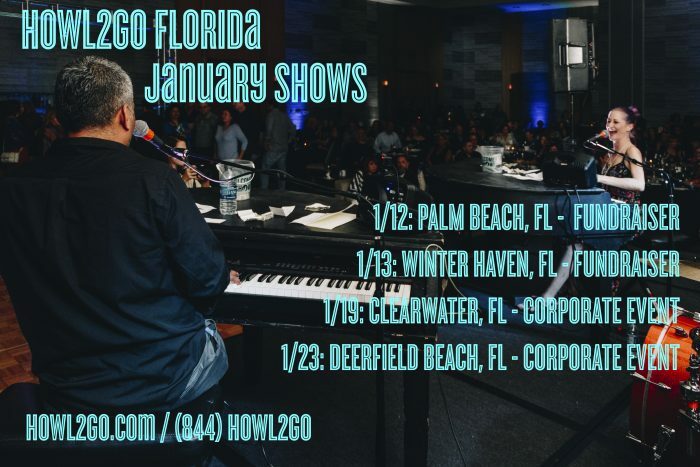 Book Florida Dueling Pianos Now!